Pandanda - Henry's Blog: Join the Official Pandanda Blogroll! Join the Official Pandanda Blogroll! Now is a great time to submit your Pandanda blog for the Official Pandanda Blogroll! I added 15 blogs to the Blogroll on Monday, and I would love to add more. I'm looking forward to giving special recognition to excellent blogs in 2012! The blog has been active for at least one month. The blog is updated at least once per week. The blog must be about Pandanda, with only a very few mentions of any other games. The blog must have a link to www.pandanda.com on the main page. The blog must not contain inappropriate content. To request that your blog be added to the Official Pandanda Blogroll, send an email to support@pandanda.com with BLOGROLL in the subject line. Make sure to include your blog’s URL, the name you want the Blogroll to show for your blog, and any special information you think we should know about your blog. 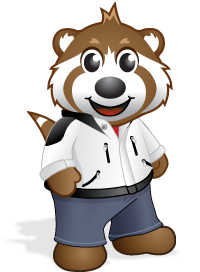 The Pandanda Team will visit each blog to decide if it meets the requirements. If it does, the blog will be added to the Blogroll. If some of the requirements are missing from your blog, the Team will send you an email letting you know what you need to do to meet the requirements. 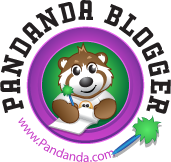 We look forward to adding your blog to the Official Pandanda Blogroll! If your blog used to be on the Blogroll, but it was removed because it wasn't being updated regularly, you can certainly ask us to add it again if you are updating again! Purchase awesome Pandanda gear here . Pandanda® Sunleaf Studios LLC © 2008-2011. All rights reserved.